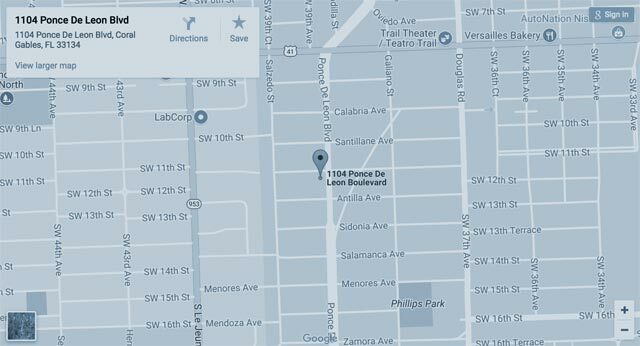 Probate & Trust Attorneys | Coral Gables, FL | Yelen & Yelen, P.A. The probate and trust administration attorneys of Yelen & Yelen, P.A. have handled hundreds of estates throughout the State of Florida for over 50 years. We understand the various difficulties and components associated with the estate of a deceased family member or loved one. If an individual passes away, with or without a Will and/or Trust, our attorneys will assist you in navigating the probate practices and procedures necessary throughout the administration process as quickly and efficiently as possible. Our attorneys are experienced in assisting Personal Representatives and Trustees in properly handling their fiduciary responsibilities. Probate is required when an individual dies with assets titled solely in his or her name – it is the legal process by which a decedent’s assets are distributed according to their Last Will and Testament (“testate”) or via Florida Statutes (“intestate”). The decedent’s estate must go through the probate administration process in order to determine the estate’s assets, protect said assets, determine the value of the decedent’s property, to satisfy creditors/taxes of the estate, legally transfer ownership of real property and ultimately authorize the distribution of the assets to the proper parties (the estate’s beneficiaries/heirs at law). Formal Probate Administration/Testate Formal Administration: this is the most common form of a probate Estate in Florida. Formal Administration is required when an individual dies with a Will (“testate estate”) or without a Will (“intestate estate”). A Personal Representative (“executor”) will be appointed to administer the estate and ultimately distribute the decedent’s assets. Florida law requires that an attorney represent a Personal Representative in the probate proceeding. The probate of both testate and intestate estates is required to ensure that the decedent’s assets are distributed according to the terms of their Will or pursuant to Florida Law. Every estate must be handled correctly from its initiation in order to avoid complications and delay. Summary Administration: this is a simplified and quicker estate process in which there is no appointment of a Personal Representative. An estate may only qualify for Summary Administration if the gross assets are valued for $75,000.00 or less, or if a decedent has been dead for more than 2 years and no probate proceeding has been filed. If applicable, Summary Administration can be filed with or without a Will. Ancillary Administration: this form of estate administration occurs when a non-Florida resident dies owning real estate in Florida in his/her name alone. If applicable, a separate estate must be filed in Florida in order to manage those intrastate properties. Yelen & Yelen, P.A. can provide legal guidance to Successor Trustees throughout the trust administration process. Trust administration is the process by which the trustee collects, manages, invests and distributes the trust property to the designated beneficiaries according to the trust’s terms and instructions – this is often required following the settlor’s death or resignation as trustee due to incapacity. A Trustee has various fiduciary and ethical duties prescribed by Florida law in order to protect the trust assets and the interests of the trust beneficiaries. Our attorneys can assist you in fulfilling your duties and obligations if you have been appointed as a Successor Trustee. The attorneys of Yelen & Yelen, P.A. can guide you through the estate and trust administration process. Please contact our office at 305-445-3721 for more information.